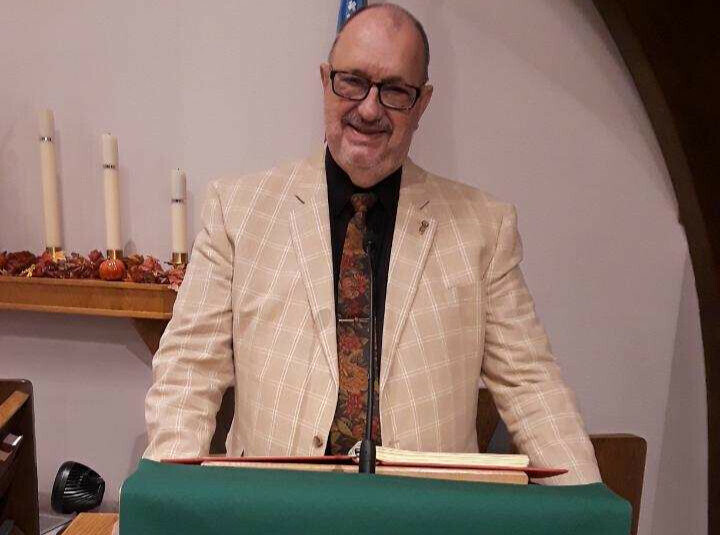 I have gone to church almost every Sunday since I was a little boy in the 1940’s, and the neighbors across the prairie pasture of our South Dakota ranch invited me to go with them to Vacation Bible School. I have loved every parish family of which I have been a part, and I love St. Theodore’s. Sunday liturgy is very important to my life. I need regular “refueling of grace” to keep perspective in the daily turbulence and ferment. Kneeling at the altar for our weekly communion is a holy moment of assurance and peace. Our pastor’s sermons speak from the Scripture of God’s close presence in our lives and offer confident strength and conviction for the daily “journey.” The sonorous organ music and robust singing and contemplative choir anthems lift the soul. The rich prayers and our responses lay our lives before God: our needs, the concerns of others we bring in our hearts, the challenges of the society and the world in which we live, the vision of our eternal existence. And the exuberance and sharing at the sign of peace testifies to what an inclusive and embracing fellowship we are! This is a power-packed little congregation. It is also important to be part of a church that offers opportunity to serve and to give. It is Christian fact that we are called to be stewards of God’s great gifts to us: our talents, our energies, our time, our treasure, our selves. St. Theodore’s is a storehouse of giving opportunities: the women of St. Anne’s Guild and St. Martha’s Guild, the men of MOST, the perpetual praying of the Order of the Daughters of the King, Morning Prayer services during the week, the Mission and Outreach ministries, the PIN [People In Need] ministry to the homeless, the Eighth Street Ministry, the Food Pantry collection, the Shoe Box Ministry, the choir and music ministry, the Christian education staff, the children’s and adult Sunday School classes, the Come and See Team, the weekly bible and book studies, and so many more popular activities and events throughout each year. In honest faith living, we need to share who we are in order to really be who we are, and St. Theodore’s is the place to do it. This is a passionate little congregation.